The Beef on Animal Agriculture that’s Mostly Bull – Diplomatic Courier (March 2019). *My sixth textbook “Whole Grains and their Bioactives: Composition and Health” is scheduled to publish in 2019. Wallace TC. Building and translating evidence-based nutrition and bone research into policy and public health messaging. 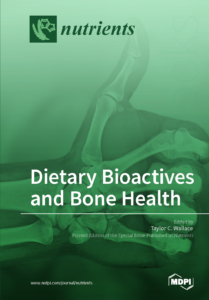 In: Nutritional Influences on Bone Health: 10th International Symposium. Weaver CM, Daly RM, Bischoff-Ferrari H (ed.). Geneva, Switzerland: Springer International Publishing; 2018 (under preparation). Weaver CM, Gordon CM, Janz KL, Kalkwarf HJ, Lappe JM, Lewis R, O’Karma M, Wallace TC, Zemel BS. Lifestyle factors that affect peak bone mass accrual: summary of a recent scientific statement and systematic review by the National Osteoporosis Foundation. In: Nutritional Influences on Bone Health: 9th International Symposium. Weaver CM, Daly RM, Bischoff-Ferrari H (ed.). Geneva, Switzerland: Springer International Publishing; 2016. Wallace TC. Dietary supplement use among athletes and tactical populations. 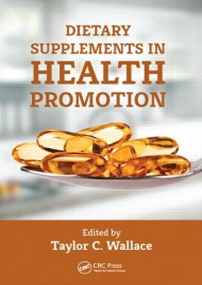 In: Dietary Supplements in Health Promotion. Wallace TC (ed.). New York, NY: CRC Press; 2015. 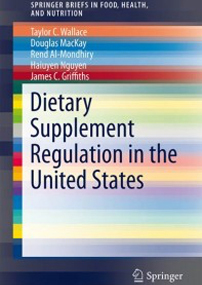 Wallace TC, MacKay D, Al-Mondhiry R, Nguyen H. Dietary supplement regulations in the United States. 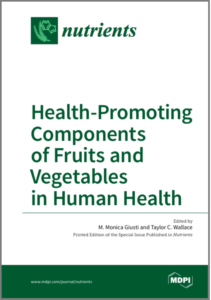 In: Global Regulation of Functional Foods and Nutraceuticals. Hasler-Lewis C (ed.). New York, NY: John Wiley & Sons, Inc.; 2014. Wallace TC. Anthocyanins in cardiovascular disease prevention. 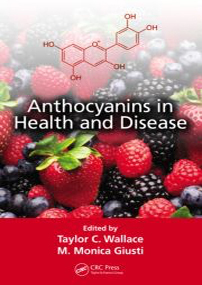 In: Anthocyanins in Health and Disease Prevention. Wallace TC and Giusti MM (ed.). New York, NY: CRC Press; 2013. Wallace TC, Giusti MM. Flavonoids as natural food colorants. In: Handbook of Natural Colors. Bechtold T and Mussak RAM (ed.). New York, NY: John Wiley & Sons, Inc.; 2009.